Viviane is a neurotic, struggling actress given to childish flights of fancy—like moving to LA on a whim to revive her dwindling career. But can she leave New York and Kazembe, the love of her life, behind? Currently showing on Shorts TV and soon Amazon VOD. For a screener, email (iquo@editifilms.com) for the Vimeo password. Full cast and crew details on IMDB. Viviane is a neurotic, struggling actress given to childish flights of fancy. Kazembe, her actor ex-boyfriend, had been the only constant in her life for the past four years until their recent breakup. On a whim, V decides to move to Los Angeles to revive her dwindling career. She thinks she can just skip out of town, until her best friend Sophie plans a surprise party and invites Kazembe. New York, I Love You takes us on Viviane’s journey through love, loss, and goodbyes in snapshots of a dying relationship set against the backdrop of one of the world’s most beloved cities. But can Viviane really leave New York and Kazembe, the love of her life, behind? 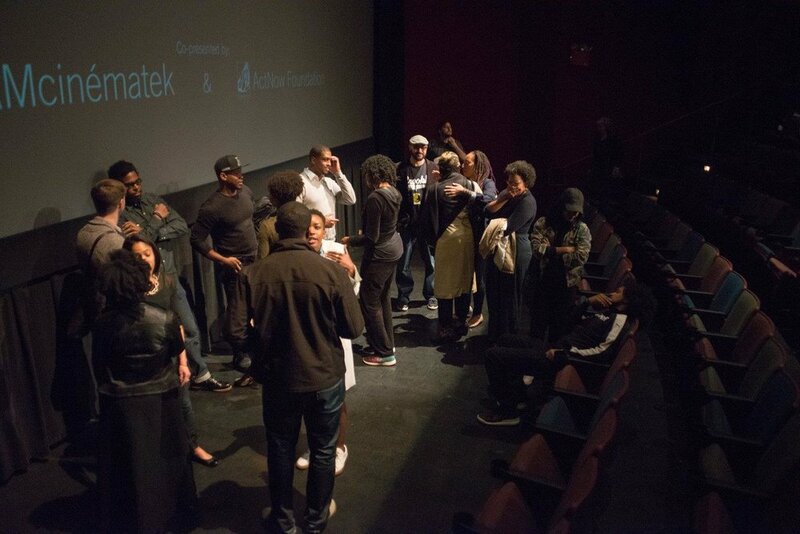 New York, I Love You premiered to two sold-out audiences Saturday, April 23-24, 2016 at Brooklyn Academy of Music's New Voices in Black Cinema Festival with Tahir Jetter's How to Tell You're a Douchebag, followed by a post-screening Q&A. 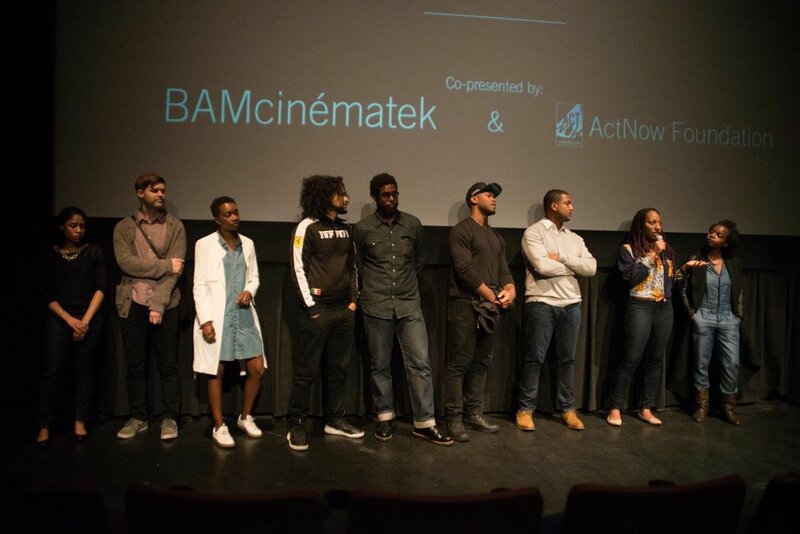 Thanks to ActNow Foundation, Tambay A Obenson, Martin Majeske, the volunteers, and two great audiences who helped make the screenings possible; and NYILU cast and crew MaameYaa Boafo & Belynda Hardin, who joined the director for the Q&A. 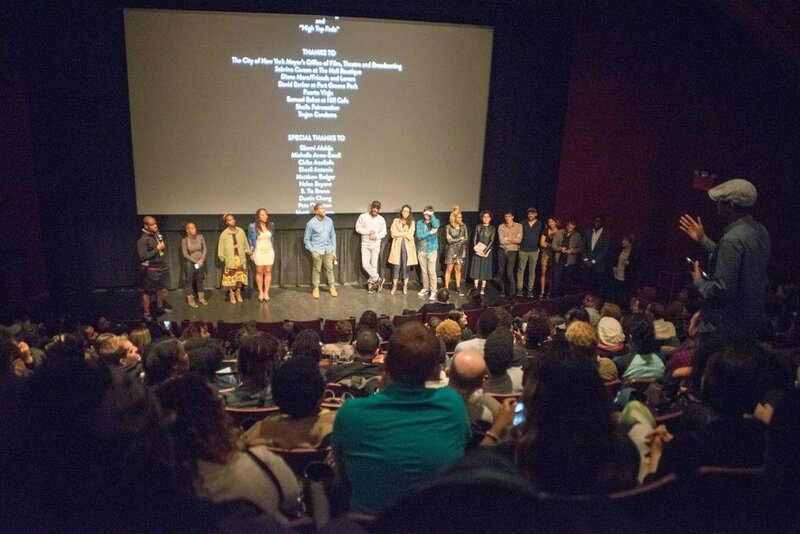 The film later screened to a sold-out audience at the 23rd NY African Film Festival (NYAFF) at Lincoln Center. Watch a clip of the NBC New York interview of writer/director Iquo B. Essien with NYAFF Director Mahen Bonetti. Scroll down for the director's Q&A on the story, music, and inspiration for the film, published along with the film's screening in the 2016 Lights, Camera, Africa!!! Film Festival in Lagos, Nigeria. 1. What role does music play in this movie? Could you speak about the soundtrack? Music plays a large narrative role in New York, I Love You, given that much of the film is a montage of memories. I found most of the songs online, highlighting the main character's African heritage and global cultural influences. On a deeper level, the soundtrack reflects my own experiences as a Nigerian-American who grew up dancing to and performing traditional Ibibio music, studying classical piano and violin, and listening to a range of music from afrobeat to jazz, coupé-décalé, and bossa nova. 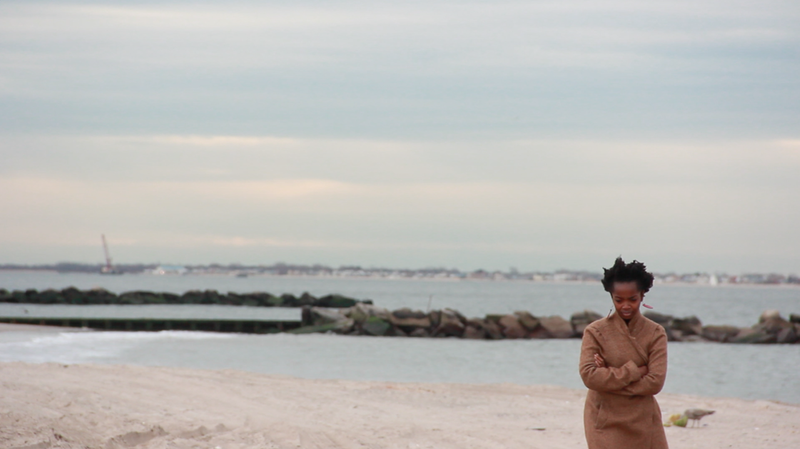 I had very specific ideas on how the soundtrack would support the story and spent several months on the music, working closely with a composer to produce a score that reflected the natural sounds of the beach, city, and lead character Viviane’s inner world. Because the film centers around a bon voyage party, music was an important tool for creating the atmosphere, mood, and cultural specificity of cosmopolitan Africans living in New York. I found all the songs myself and worked with a sound designer to edit them seamlessly into the film. My favorite song from the soundtrack, "IIII," by Ikotu, can be heard over the carousel scene, which is the longest in the film and symbolizes Viviane’s emotional transformation. I found that song on Soundcloud after listening to hours of ambient music looking for something transcendent, ethereal, and a bit nostalgic. The song was so perfect that I spent two months securing the rights—but it was worth it. Most people say it’s the most striking scene of the whole film. 2. What led you to make this film? I made this film as a third year graduate film student at New York University’s Tisch School of the Arts. My directing professor, Rebecca Miller, prompted us to make a film that explored an aspect of filmmaking that we wanted to improve upon. For me, since my previous project—Aissa’s Story, about an African immigrant maid moving on after the case against her assaulter is dismissed—was ripped from the headlines and very topical, I wanted to make a lyrical film that was primarily about imagery and mood. So I dusted off an old script I’d started writing, about an actress who moves home to Nigeria, and modified the script to fit in the scope of a short film project. The result was an ode to New York City that poetically explores a young woman’s struggle to say goodbye to a place and person she loves deeply. I got to shoot in Coney Island and go to the carousel in Bryant Park—and different parts of the city like Union Square, and the Statue of Liberty. I achieved my goal of capturing the beauty that I see in the city on film. 3. The film centers around a struggling actress played by MaameYaa Boafo, who is herself an up-and-coming actress. In an art form which is often about immersing yourself in another character, is it easier or harder to play (direct?) someone whose story may have similarities with your own? There is a lot in this film that is autobiographical, which is why it rings so true to many—namely artists, struggling to make it in the big city. It made it easier to write and direct, since I had experienced a lot of what happens to Viviane first- or secondhand. But this issue also arose in casting, when I was considering a lead actress who bore a striking similarity to me. At the time, I thought it might be more difficult to direct her because it could blur the distance between the character and me, making it more difficult to make good directorial decisions. In the end, MaameYaa was really perfect because we aren’t alike and, furthermore, I pushed her to make choices that were so different from both of us that she really created a unique character. 4. How personal is this film? Where does your personal story and the story depicted in this film meet? I started writing New York, I Love You in 2010 while on leave from film school. I really wasn’t sure what to do with my life and had been working on a memoir about my late mother, called Elizabeth’s Daughter. I spent quite a bit of time back home interviewing friends and family. Simultaneously, I started writing a feature about a girl who moves back to Nigeria to work in Nollywood after failing as an actress in New York. While I wasn’t an actress, I was a starving artist who couldn’t figure out how to make it in the big city. New York was the best and worst place on earth, full of so many creative opportunities that seemed just out of reach. I constantly flirted with the idea of moving to Lagos, especially since I had spent several months there working on the memoir. Whenever I would meet someone who had moved back, I would get out my notebook and write down their moving fees and monthly living expenses, hatching a plan for how I could move back too. But I never secured the right job to make it possible, nor was I comfortable with the idea of crashing with family. I wrote New York, I Love You to give myself permission to leave. It’s my ode to New York from someone who’s breaking up with the city and her boyfriend—although, at the time, I didn’t have one. For me, Kazembe is the human embodiment of all the wonderful things about the city that can feel so oppressive—the constant mirage of beauty and success that many will never achieve. And though I’m still living in New York now, I’m happy to have made a film that allowed me to say goodbye and immortalize my love/hate relationship with this beautiful city. 5. If you could narrow it down to just one thing, what was the biggest challenge in making the film? The biggest challenge in making the film was finishing it while a full-time grad student. 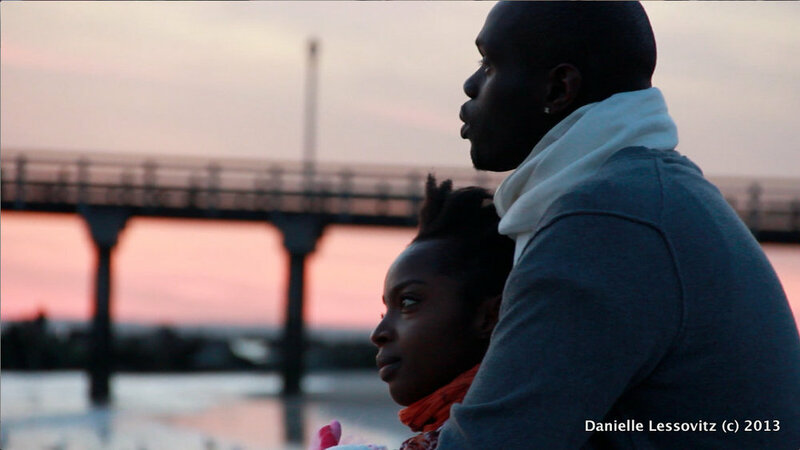 We completed principal photography in December 2012 and I screened a work-in-progress cut in May 2013. The following summer, in 2014, I shot pickups with my lead actress and hired an editor to re-cut the picture. When we finally locked picture, I hired a sound designer, brought MaameYaa in for ADR, and spent several months finishing up the music. All told, the film wasn’t completed until the end of 2015 and it went on the festival circuit in 2016--more than three years after we wrapped! It could have, and should have, been completed much sooner, but given time and money that’s how long it took. So the biggest challenge was keeping my eye on the prize and sticking through to the end of the project. 6. And what was single greatest reward in making this film? 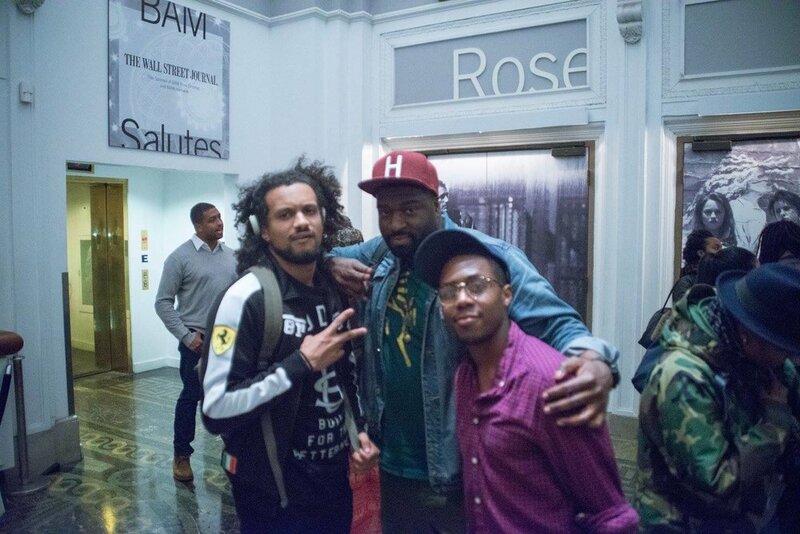 The greatest reward has been creating a film that is my definitive visual, aural, musical, and narrative style. It showcases my directorial voice and, in the end, when I could have rushed the music, instead I took my time to craft a film that speaks for me. What’s most beautiful is that, when I watch the film objectively, I feel excited and engaged by this director and what she has to say. I can’t wait to see what she makes next! 7. What was your film’s budget? I self-financed the film for around $3500.